I don't know about you, but Friday couldn't get here fast enough. Getting back into a routine with work after a holiday break is always a struggle, but for some reason this year hit me hard. I'm so wiped, and the subzero temps aren't helping. Thankfully the new digs have forced hot air as the heating system, so I've been rather toasty. 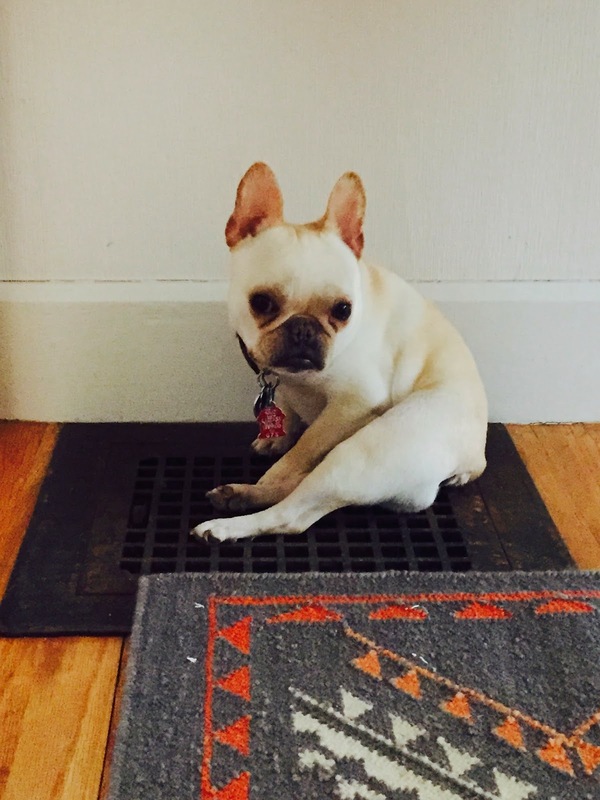 And Olive definitely appreciates it--as soon as we come in from a walk she beelines to the closest vent to warm her buns. I'm looking forward to doing a whole lot of nothing this weekend, aside from painting my kitchen cabinets (which I've been putting off for weeks--I've come to really hate painting. It's not fun). Stop it, how cute is she plopped down on the grate??? Best wishes with the painting - brave in winter! I would want to open windows to air out fumes but, you know, Polar Vortex. I want to see more pics of the house! And yes, I was SO ready for the weekend.